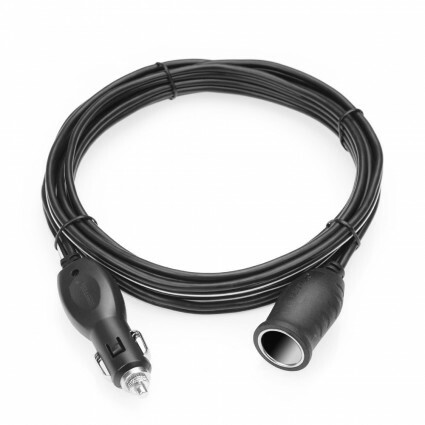 BESTEK extension cord for cigarette lighter socket is designed to extend your 12V power source to make it more convenient for you to charge both home appliances and car appliances. The extension cord is made from grade wire and high quality connectors on the ends, ensuring to hold charging devices tightly. Protective plastic shell is designed with 2*4 mm electric wires. The item is durable enough to have a long lifespan. The cigarette lighter socket can extend your 12V~24V power source to both home appliances and car appliances. With male to female cigarette lighter socket, the cigarette charger is applicable to multi types of charging plugs. The cord can extend to 3.7m/12.1ft long and you can charge appliances even in the back seat. It is ultra-light and small sized and you can roll it up, easy to carry and store in bag or luggage. Q: What is the wire gauge? Q: Will it fit Mercedes Benz? A: Most automobile cigarette lighter, now "Power" receptacles, are universal. 4mm squared wire is between 12 and 10 AWG wire. The cord is rated for 30 amps. Before connecting that big a load, check the size of the fuse for the lighter/Power circuit. It should be in the Owner's Manual. The size of the fuse is set to protect the automobile's wires going to the cigarette lighter to prevent heat melting the insulation and causing a short circuit, possibly resulting in a fire. Q: I actually need to plug 2 of these together to get the length i need, is that possible ? A: You can plug 2 together, however; the longer the wire the more amp draw at the unit is supplying. You have to be careful with how much amp draw you have.